So far Bournemouth Citizens Advice has created 61 blog entries. 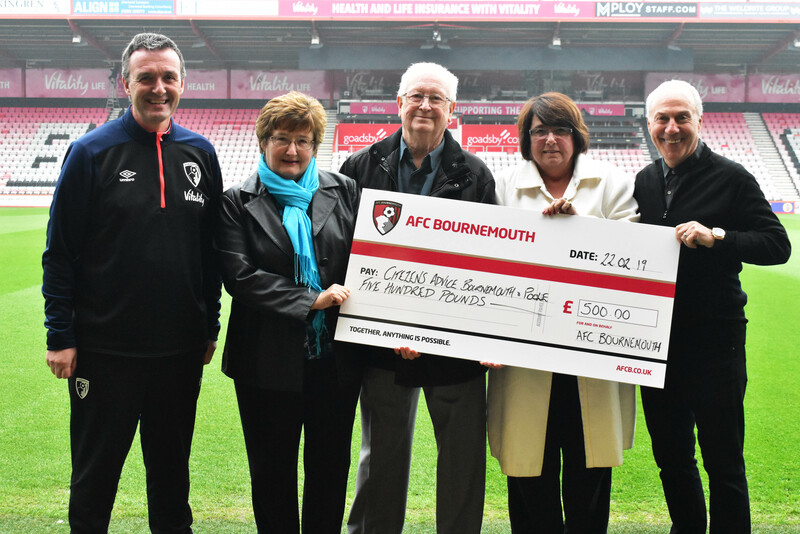 AFC Bournemouth kindly donated us £500 to help us continue to support everyone in the Bournemouth, Christchurch and Poole area. Thank you AFC Bournemouth! We would like to add that we are grateful for their kind generosity. The Citizens Advice service offers information and advice through face-to-face, phone and email services, and online via Adviceguide.org.uk. We can provide clients information on their rights, responsibilities and options on many different issues.